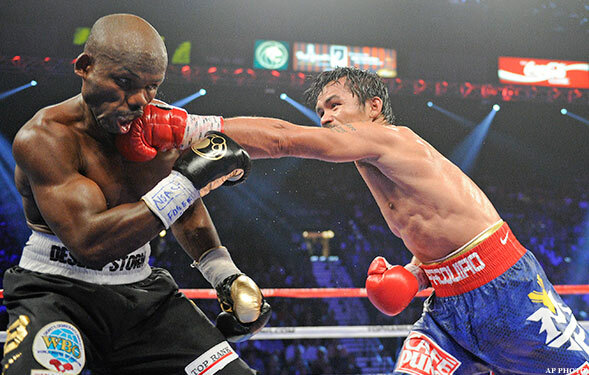 The iGorot Preacher: Pastors Swarming Around Pacquiao for Money: Pacquaio's Achilles' Heel? Pastors Swarming Around Pacquiao for Money: Pacquaio's Achilles' Heel? Pastors swarming around Manny Pacquiao for money and perks has been labeled by Inquirer Mindanao as the boxing icon's Achilles' Heel. The article pointed out that several of these pastors have been asking favor, money, ipad, cars and other things. The problem with the article was those pastors were not named. Another lope hole in the article is the so called 'source', which is anonymous. I am left wondering, how reliable the article's source is? And who are those pastors who have been abusing the kindness and generosity of Pacquiao, if indeed it is true? I am a preacher/pastor and know that there might be some legitimate needs those pastors have. But I am embarrass if those pastors are indeed making Pacquiao their 'milking cow' and abusing his generosity and kindness. It would be such a shame and disgrace if those so called pastors and preachers become Pacquiao's Achille's Heel or downfall. May it never be!